Subtitles vs. Captions: What’s the Difference? Rev › Blog › Closed Captions › Subtitles vs. Captions: What’s the Difference? You may know that captions and subtitles are similar, but they aren’t the same. Captions are a transcription of dialogue, while subtitles are a translation. They both appear as text on the bottom of your screen, and typically represent the speech between characters on your television or computer. Even Netflix, a streaming company with some of the highest subtitles and closed captioning standards, groups them both under a heading of subtitles. This can be confusing for someone trying to understand the difference between subtitles vs. captions. Need to add captions or subtitles to a video? Despite how things might look, both captions and subtitles serve unique purposes and have specific traits that make them distinct. Captions come in two forms, open or closed captions. Closed captioning (CC) can be turned off by the viewer with the click of a button, while open captions are actually embedded into the video and cannot be turned off. Captions are of particular use to individuals who are deaf or hard of hearing as they include background noises, speaker differentiation, and other relevant information translated from sound to text. Unlike closed captions, subtitles assume viewers can hear and are typically used when the viewer doesn’t speak the language in the video. For example, movies include subtitles in the language spoken in countries where the film is distributed. Subtitles are timed transcriptions of audio files and are typically developed before the release of a film or television show. Closed captioning for public television was developed to mandate accessibility as a part of the Americans with Disabilities Act (ADA). The guidelines of this law stipulate that all public multimedia, whether in the classroom or on late-night television, must be captioned in order to prevent discrimination. The neat thing about captions is that they can be typed live. Because the text is encoded into the television signal these packets of data can be transmitted right to our living rooms. For example, all of the hilarious, unpredictable moments of shows like Saturday Night Live, Maury, or The View are being transmitted by live typists right as they’re happening. Unlike closed captions on television, the data for captions on DVDs and Blu-Rays is housed in a special channel of the MPEG video stream. The rising popularity of streaming services like Netflix around the world has increased the demand for subtitles globally. America’s entertainment industry represents a third of the global market, but that is only a snapshot of the industry. Although the overarching picture shows the US sending a lot of media into other parts of the world, there’s also an uptick of people in the US consuming internationally produced content. 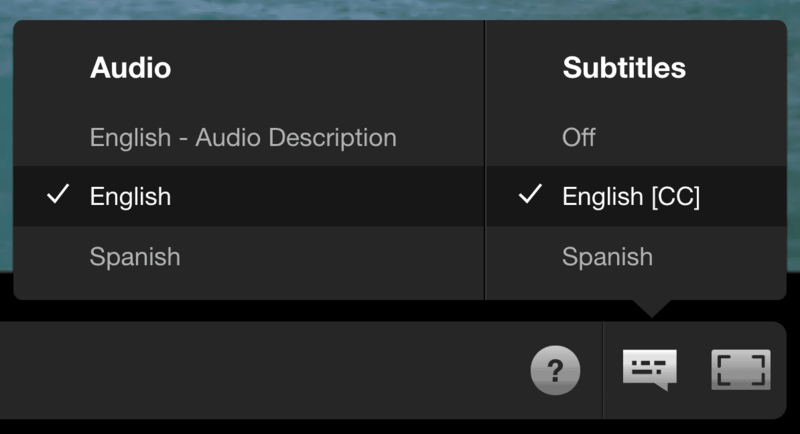 And regardless of the country of origin, content without subtitles simply won’t get distributed as far. Subtitles aren’t only for understanding a foreign film in your native language. They also have proven benefits for those trying to learn another language. In fact, research shows that as long as videos with subtitles match the proficiency of the language learners, they are a useful tool for improving comprehension. The process of ordering a transcript of your audio file for the purpose of subtitles or captioning is simple. It also packs a lot of benefits for all viewers, not just those who speak another language or have difficulty hearing. In fact, more than 80 percent of people who watch videos with captions turned on do not require them. The rise of smartphones has led more people to seek out videos with captions or subtitles. When you’re watching quick YouTube how-to videos about cooking dinner while in the break room at work, chances are you don’t want everyone hearing. Providing the corresponding text for video content makes a lot of sense, and will continue to be offered as required by law and also by media companies that understand its value.